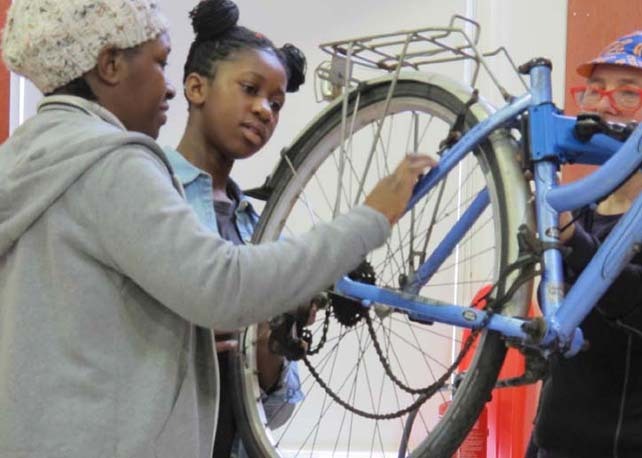 Over the past four years Community Cycleworks has provided Build a Bike courses in Southwark schools as part of the Council’s School Travel Plan initiative. 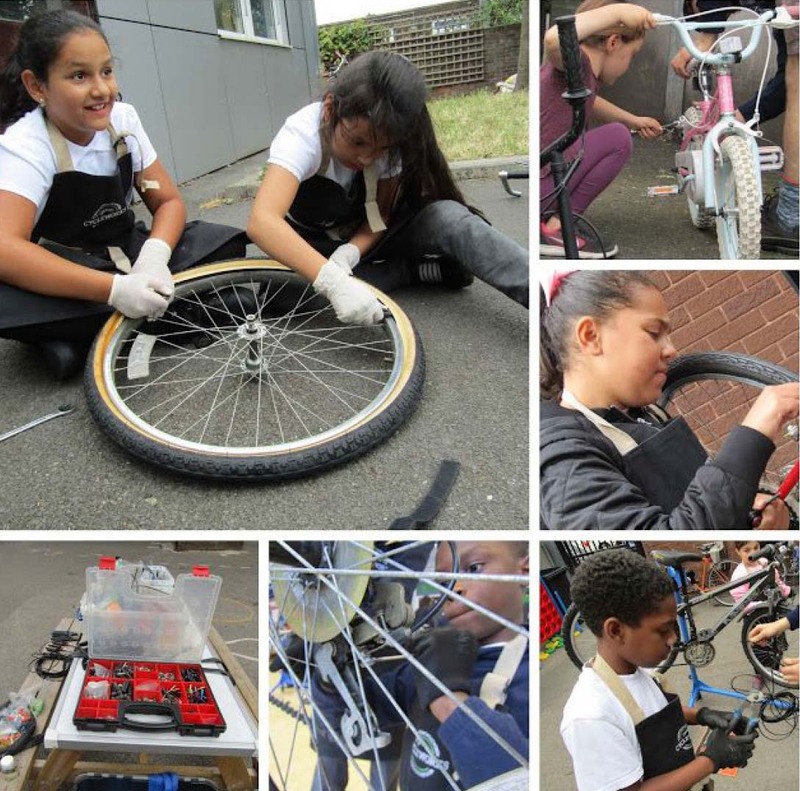 Working with years 6, 7 and 8, we provide donated bikes that are then refurbished with the children, and upon completion, they can keep and use for their school journey or donate to an adult in their family. 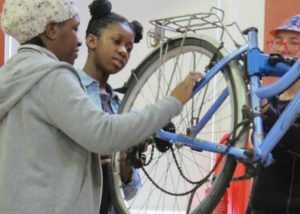 The course provides maintenance skills to children along with a thorough understanding of how a bike works, allowing them to problem solve if something happens when they are cycling. 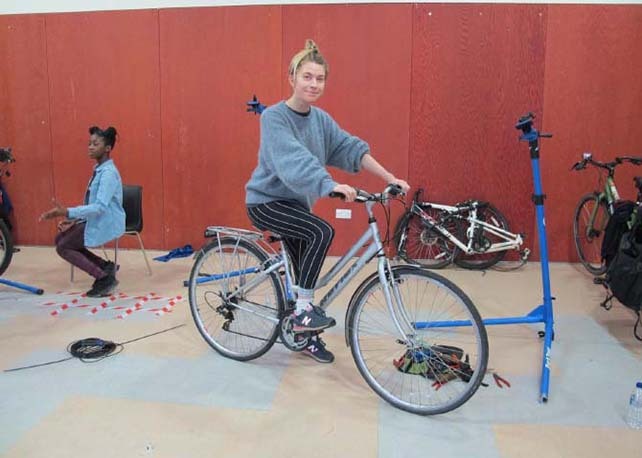 In exit surveys 66% of students said they felt more comfortable riding their bikes because they understood better how they worked. 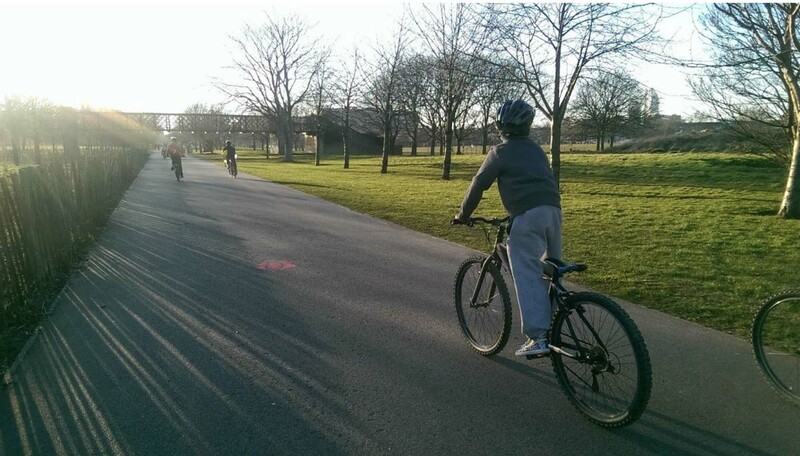 Bellenden school in Peckham recorded that three weeks after the course 75% of students were still cycling to school. 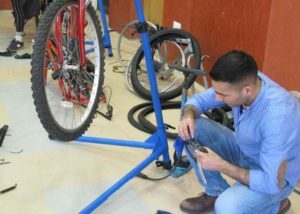 Other benefits are an increased dialogue around cycling within the school community while the course is running, an inspiring way to engage people in recycling and a chance for the school community to recirculate unwanted bikes. We are always seeking new partnerships with schools to run this course in 2018-2019 curriculum year. To find out more or make a booking please contact us. New for 2018 and kindly funded by Peckham and Nunhead Community Council, our Community Build a Bike in a day is an intensive one-day course where participants are taught how to rebuild a bike and carry out minor repairs and adjustments. The ten participants were a diverse mix with some students, refugees and unemployed but all with a desire to cycle as transport. 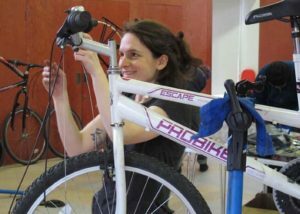 The bikes were donated by Veolia and Community Reuse.